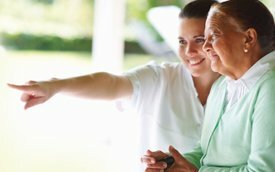 An agency’s reputation is built by the quality and dependability of the Home Health Aides (CHHA) assigned to their clients. At CareBridge Home Care, we employ trained hourly caregivers in NJ, as well as, live-in caregivers to respond to personal care needs of your loved ones. 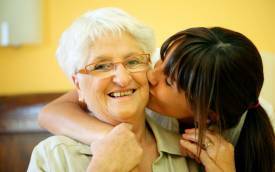 Initially our emphasis is on a caregiver’s overall character attributes and experience. Over the years we have observed that aides who possess an optimistic attitude are more likely to meet the inherent challenges in providing senior care in New Jersey. We believe the right combination of experience, skills, training and attitude can overcome even the most demanding home care circumstances. 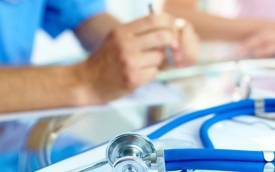 Hourly Care or Live-in Care? Finding the right balance of ‘hands-on’ needs and non-personal assistance is the key to ensuring a cost-effective hourly home care services or live-in care services. Many families in New Jersey are unfamiliar with the specifics of what home care aides can provide to loved ones in the home. This sometimes leads families to underestimate the care needs of loved ones or misjudge the timeframes needed to provide proper care. These inconsistencies can sometimes lead to misinformed high expectations of the aides and those expectations not being met. A proper first step in judging the amount of care needed is self-assessing what the care needs are at night. If the person requiring care is up and active at night, you may require a live-in aide rather than hourly care in New Jersey. As for care needs, our aides can assist with any non-medical care situation that requires ‘personal care’. These duties are not ‘nursing care’ specifically, however, personal care involves any handling of our clients such as bathing, dressing, and transferring. We employ a wide breadth and depth of caregiver skill-sets to more carefully match your unique care requirements. Our goal is the safety and well-being of your loved ones and our promise is to foster that care through competent and compassionate caregiving. The details of care required for an Alzheimer’s disease client differs greatly from care needed for a person with complete mental capabilities recovering from hip surgery. As an integral step of our overall recruiting process, we confirm an aide’s qualifications through a series of reference/background checks, interviews and ongoing hands-on observation. Hourly caregivers and live-in caregivers both are licensed home health aides in New Jersey (NJ CHHA) and only differ in the way they perform their shifts. As an added benefit for our employees, CareBridge has invested heavily in providing free Continuing Education courses for all of our employees. With a catalogue of over 200 hours of video and online testing training, our employees are able to increase their home health aide skill-sets throughout the year. Currently there is a required 12 hours of coursework per year for all of our NJ caregivers.